How many guns are to many? 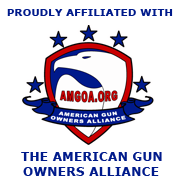 pa2a.org » The Armory » General Gun Discussion » How many guns are to many? I was in a discussion earlier today. The subject of this particular discussion was along the lines of only owning what you will shoot. I myself consider myself an accumulator / collector. I have enough guns that if i went out shooting one a week that I would not shoot the same one for a long time. I have guns that were picked u and in reality may never be shot. that is just reality. Each were bought with the intention of being shooters. I have picked up at least six or seven that would be the next carry gun. yet I still carry the same gun for what must be ten years. The question I have is are these people against owning guns that do not see the range because they just can not afford to own more than a few or for a more particle reason I can not think of? i guess I would fall into own many to play with, but be proficient with a few. One guy went so far as to say you should only own what you can bug out with. For some reason I believe that falls under the I can only afford what I have. You obviously have too many firearms. In the interest of fairness you're required to give 3 firearms to each staff member of the forum. There's never too many to own so long as finances allow (and heck guns are as good of an investment plan as anything these days), but get real super comfortable on the ones you would want to use to defend yourself with. It's better IMO to be an absolute machine with one firearm than kinda sorta OK with dozens. I'm concentrating mostly on my carry pistols at present. Glocks (I have a few and shoot whatever I have more ammo for), LC9, LCP. I toss in some rimfire to get more time out at the range and not blow hundreds of dollars a day in ammo. If you know how many guns you have, it's not enough. My "collection" could stand a little growth, but I don't consider myself a collector. I have never in my life owned a gun that I didn't shoot or wasn't carried along to the range with all the others on most trips. But a collector would certainly purchase a gun just to keep, either simply for the sake of knowing they have it, or to complete some sort of set, or perhaps to hold it as it increases in value. For me, in addition to the defense/protection purpose, my guns have always been tools/toys. I can easily imagine "too many" guns for me. I think if I were to spend an entire weekend at the range and still didn't have time to shoot all my guns I'd probably start selling some off. I can't place an upper limit. As long as you have a place to put them all anything is fair game. Your reward for not being a scumbag criminal is the allowance of as many firearms you want. As long as you can meet your financial requirements (pay your bills, etc. ), then there is not such thing as too many. I don't buy a new gun unless I have the money to drop on it. Sometimes I even sell a gun to fund a new gun. Right now I'm pretty comfortable with what I have. There are a few toys I'd like to get, but nothing that I am dying to get. You have too many guns when you start selling them because you think you have too many. I'd say as many as you can reasonably secure. Then the question becomes How many safes are too few? I've never bought a gun I didn't shoot. Some see more action than others, but in the course of a year every last one will see a little range time. If I neglect one for too long I may consider selling it but so far that's only happened once.